Ahh the month of love is upon us, and while some of us are hinting to our significant others, others should do their own treat yourself! Say hello to Lingerie Letters! The one subscription service you want (okay, need!) to be part of. Lingerie Letters is the first and only intimate monthly subscription, where you discreetly receive a pair of locally designed and manufactured knickers. So what exactly is Lingerie Letters and how does this thing work? 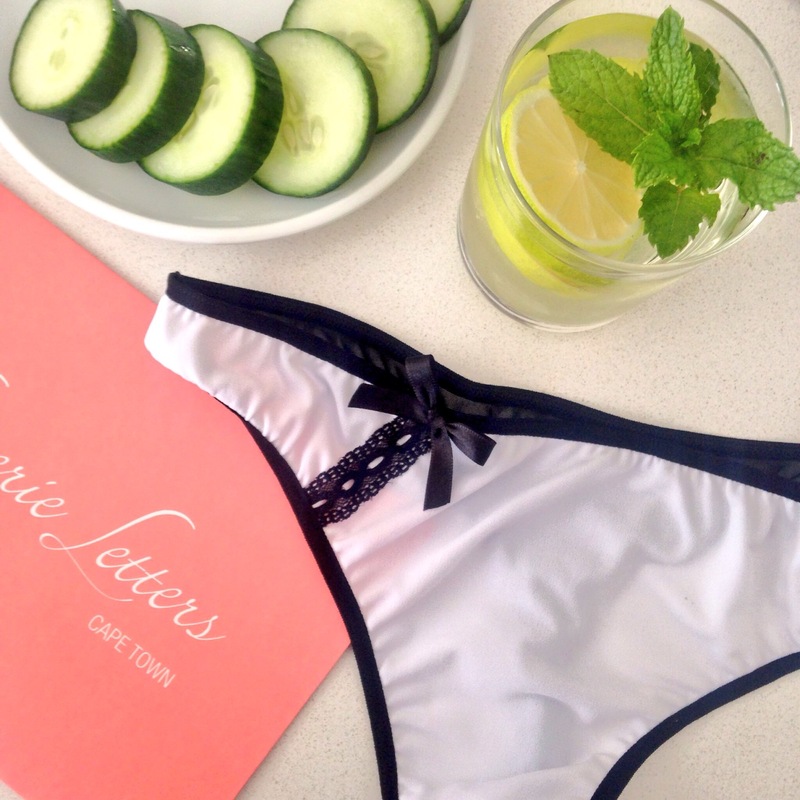 Every month, Lily, your Lingerie Letters penpal will send you a pair of knickers designed and made in Cape Town. You choose the style you want, and Lily makes sure you receive a different pair, every month, discreetly delivered to your door! Sign up before 12pm on the 15th, to receive your knickers the next month. The subscription is reoccurring until you opt-out, so now need to sign up every month. Lily has a few options for you when it comes to the subscriptions. There’s no contract, and you can opt out at any time as well. The month to month subscription means you’ll pay R179 a month (knickers including delivery), every month until you opt out. You can also sign up for a single month as a gift to yourself or a friend; or take out a 3-month or 6-month option, once off payment at a discounted rate). Oh, and there’s a boutique including past pairs – try not to go crazy! They’re all so pretty! You shop the boutique here, or sign up for your Lingerie Letters subscription here, or give a gift subscription here. I received a few pairs of knickers from Lingerie Letters to try out and report back. Lily sent me an array of thongs and briefs, and I cannot fault a single one. Each knicker was luxurious to touch, incredibly comfortable to wear, and made me feel like I was wearing something that was truly designed for women, by a woman. Right! Because February is the month of love, and regardless of whether you have someone to spoil you, or you’re going to spoil yourself, Lingerie Letters want to gift one lucky reader with a three month subscription! Eek! How exciting! The giveaway will run until midnight on 13 February 2017, and we’ll announce the winner on Valentine’s Day, so you can still sign up for the next pair of knickers! We’re going to make it really easy, you don’t have to do all of the following, but each is worth one entry into the giveaway. So the more you do, the more entries you’ll earn. However, you do need to follow Lingerie Letters on social media for your entries to count. Comment below with your favorite past pair (you can look over here). Head over to our Facebook here, Twitter here, and Instagram here, and complete the details on the competition posts. Good luck, lovelies! Lily and Lokal can’t wait to make one of you a winner!